Some of their recent promotions follow. These are worth checking out. This new Firearms Guide is easy to use source for complete gun information largely gathered from factory catalogues. As a writer who has been producing materials for gun publications since the 1970s, I have often needed gun schematics and other details on firearms. This has resulted in my accumulating a library full of books, catalogues and magazines. 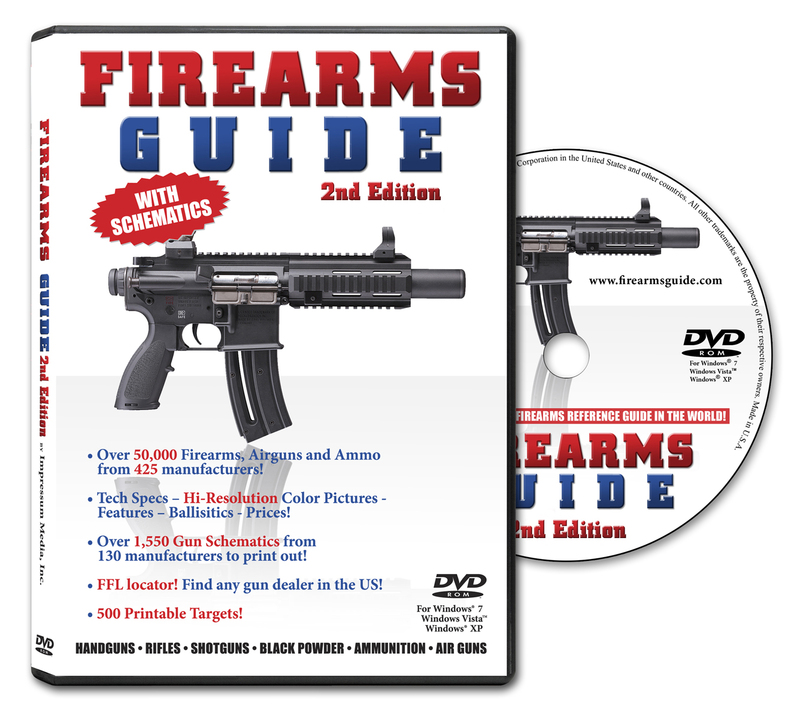 The new Firearms Guide from Impressum Media, Inc., contains a DVD with an enormous amount of easily accessible information that is largely catalogue-derived, which has some immediate advantages. I decided that this would be a practical test of the Firearms Guide, and I requested a review copy from Company President Chris Mijic. It arrived, and, sure enough, a schematic for Ruger’s Old Army was there, even though this model has been discontinued. I was able to obtain the factory part number, order a replacement and get the gun back up and shooting. Schematics are not present for every gun, but over 1,500 are included. Looking through the DVD, I was impressed with the high quality of the illustrations, the amount of information contained about the firearms and the fact that sporting and military rifles, shotguns and pistols were listed – even my favorite muzzleloading replicas. 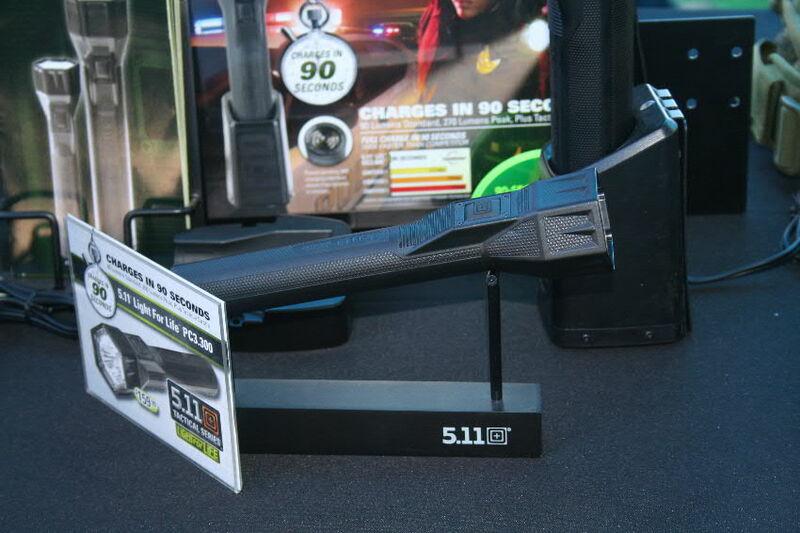 Those who are shopping for firearms will also be gratified to see that prices are included. Even replica black powder guns like this Colt revolver are included in the guide. 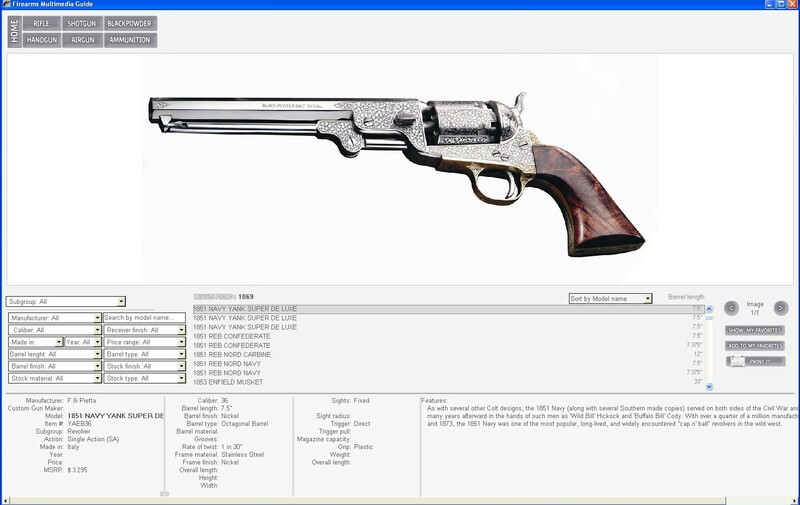 This is a typical image and description of the guns shown in the DVD. Images may be enlarged on the computer screen to allow the information to be easily read. I could not resist giving you one more beautiful photo from the guide. 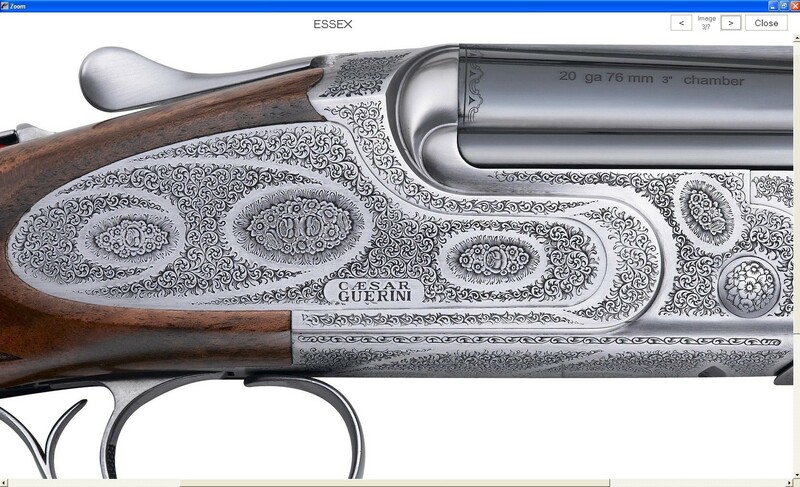 Guns in the Guide are in all price ranges up to $1,000,000. While not quite that high-priced, you may be assured that this one is out of the reach of the average sportsman.